Page 70 — more Mysterious Shadowy Figures! Oh, it’s only Cook *whew*! While I’m working on comics, I sometimes listen to podcasts (not while I’m doing the lettering!). This week I’ve been listening a lot to a guy named Will Terry, whose you tube channel has a lot of really good information for illustrators and comics artists. If you are one of those, you might want to check him out! 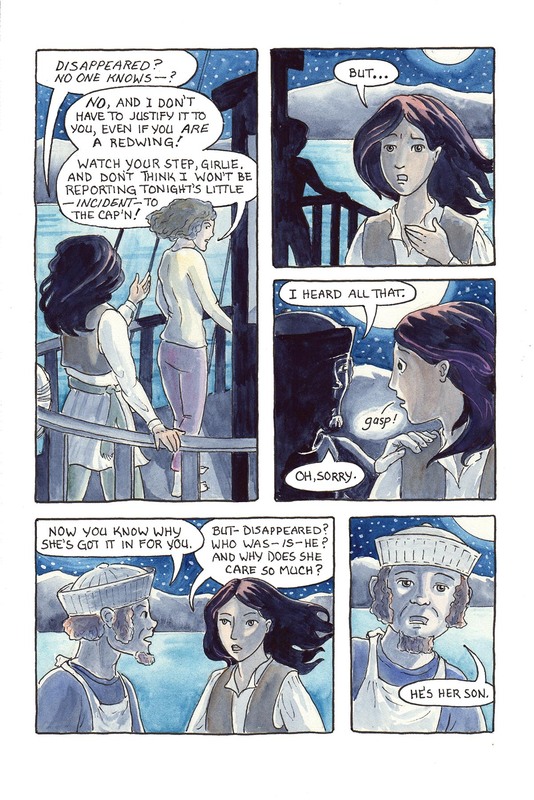 This comic was posted in Mermaid Music and tagged comic, fantasy, graphic novel, mermaid comic, mystery, sailors, sea comic, ship, watercolour, webcomic.